For the last month I’ve been playing with my workout schedule trying to find a time that utilizes my optimum energy level. As it happens, the best time for me is in the mornings between 9:30-10:30; after dropping off my husband at work, and the kids at preschool. Any time after this is 50/50, I might get inspired to go after lunch or before pick up but once I get started with my day it’s hard to find an empty hour that needs filling. This is individual to every mom. To keep things interesting I’ve started taking group classes offered by my gym. The classes are packed with moms all with one thing on their mind; get this done so I can get on with my day. It’s not that women don’t love exercise-cardio-building up a sweat, but for many of us, it’s just something we have to do to keep off the pounds and feel like we have a life of our own. I love fitness and I know it will always be a part of my life, but believe me there are some days I would rather be doing anything else. One thing that keeps me motivated to workout is the prospect of meeting other moms. 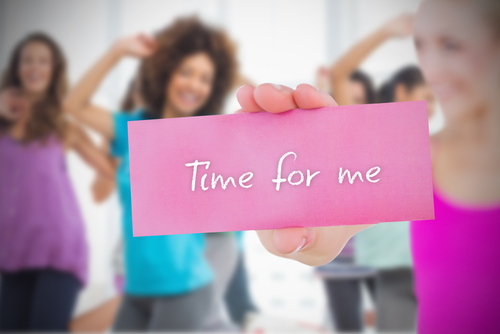 There’s strength in numbers, anyone who’s taken to a Zumba class will tell you that. Diastasis is a condition that affects up to 90% of all maternal women. Diastasis is not always a result of doing something wrong over the course of pregnancy, sometimes sh*t just happens. There are options other than surgery. Physical therapy is expensive and there is no standard procedure that rehabilitates diastasis – in other words, doctors recommend surgery because they don’t believe it can be rehabilitated. Everybody is different. Some women will recover from pregnancy with no assistance at all, but if you still have tummy months after pregnancy despite regular exercise and reasonable diet, you may have a diastasis. You’re not alone. Thanks for helping to spread the word. Now go get motivated! The Abdominal Connections 6 Step Program is a non-invasive alternative to surgery. It allows you to take recovery into your own hands.